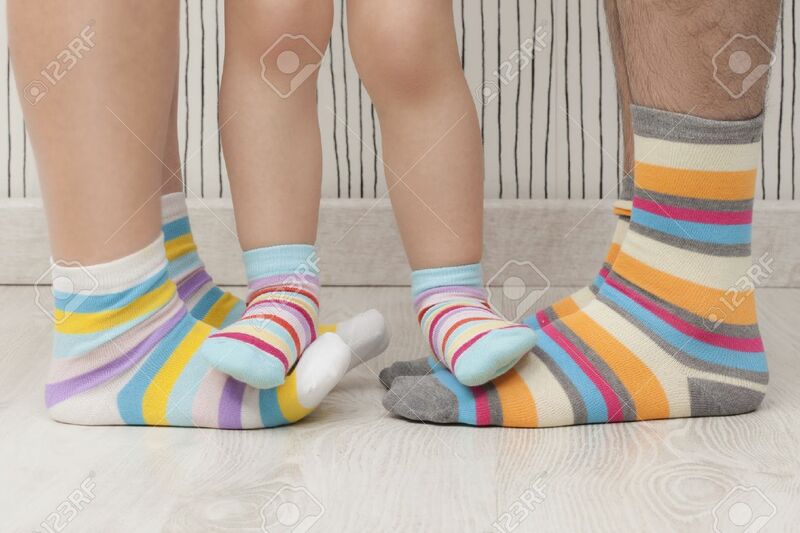 Mother, Father And Child Wearing Similar Striped Socks. Unrecognizable Stock Photo, Picture And Royalty Free Image. Image 48963008.